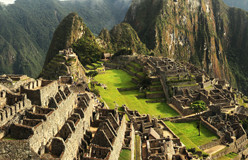 The Incas called their empire The Four Parts Together. They divided it into four areas: northeast, southeast, northwest, southwest. 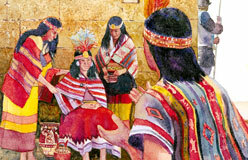 The ruler was called the Sapa Inca. 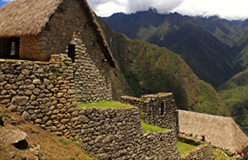 Strictly speaking, the term Inca refers to the small group of people whose original home was the Cuzco area. 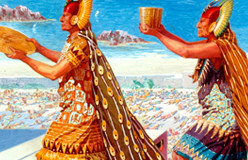 The rulers of the empire came from this group. 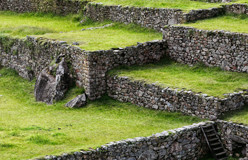 All the other people in the great Inca empire belonged to other ethnic groups. 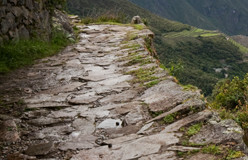 They’re known more correctly as Andean people, because they lived in the Andes Mountains. 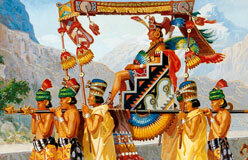 However, today the term Incas stands for all the people of the empire.